Program #CHON-LING009. Recorded in Chapel Hill, NC on January 14, 1992. Recorded at the University of North Carolina. 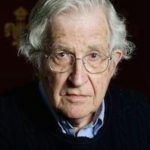 Noam Chomsky, by any measure, has led a most extraordinary life. In one index he is ranked as the eighth most cited person in history, right up there with Aristotle, Shakespeare, Marx, Plato and Freud. The legendary MIT professor practically invented modern linguistics. In addition to his pioneering work in that field he has been a leading voice for peace and social justice for many decades. 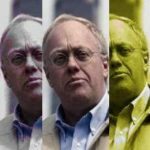 Chris Hedges says he is “America’s greatest intellectual” who “makes the powerful, as well as their liberal apologists, deeply uncomfortable.” He is Institute Professor (emeritus) in the Department of Linguistics and Philosophy at MIT and Laureate Professor of Linguistics and Haury Chair in the Program in Environment and Social Justice at the University of Arizona. At 89, he still gives lectures all over the world. He is the author of scores of books, including Propaganda & the Public Mind, How the World Works, Power Systems and Global Discontents with David Barsamian.